World Mental Health Day first celebrated on 10th October 1992 is an initiative set up by the World Federation for Mental Health in order to increase awareness of a vastly misunderstood area of medicine. In total, an estimated 450 million people worldwide suffer from some form of mental health problem, in part due to ever stressful work lives. Mental illness affects 1 in 4 of us in Britain, but this statistic is simply a projection, based solely on documented figures. If as suspected, many cases go unreported, the statistic could be much higher. Not only does this statistic not take into account those who go unreported, but it also fails to include those affected by mental health issues in other ways, such as caring for loved ones. But what actually is a mental illness? What does it do, and are there ways to protect ourselves from it? Generally defined as ‘a condition that impacts a person’s thinking, feeling or mood and may affect his or her ability to relate to others and function on a daily basis’, there are two distinct types of mental illness symptoms: neurotic and psychotic. Neurotic symptoms, according to the World Federation for Mental Health, include ailments which are classified as being ‘extreme’ or outside the statistical norms of human behaviour. Psychotic symptoms are a far less common and all together more intense affair, including paranoia, delusions and hallucinations. Psychotic symptoms interfere with how a person sees, feels, smells or believes things that are happening. The most common mental illness is the frequent mixture of anxiety and depression, with some 9% of the population of Britain fulfilling criteria for diagnosis. In addition to this, the World Health Organisation (WHO) estimate there to be 350 million people worldwide suffering from depression. Arguably the most serious ramification of a lack of adequate care for mental illness is the extraordinarily high suicide rate that the world still sees. 2010 saw in excess of 5,700 people in the UK die from committing suicide and it still remains the most common cause of death in men under 35. And with British men being three times more likely than women to die from suicide, the problem clearly has a gender imbalance issue. Not only does gender play a part in the suicide statistics, but ethnicity is also an apparent factor. From 1996 to 2001, just 6% of people who committed suicide were from an ethnic minority group, at a time when the 2001 Census found that ethnic minorities made up 9% of Britain’s population. Britain also has one of the highest rates of self-harm in Europe, with some 400 per 100,000 of the population having hurt themselves – 1 in every 250 people. 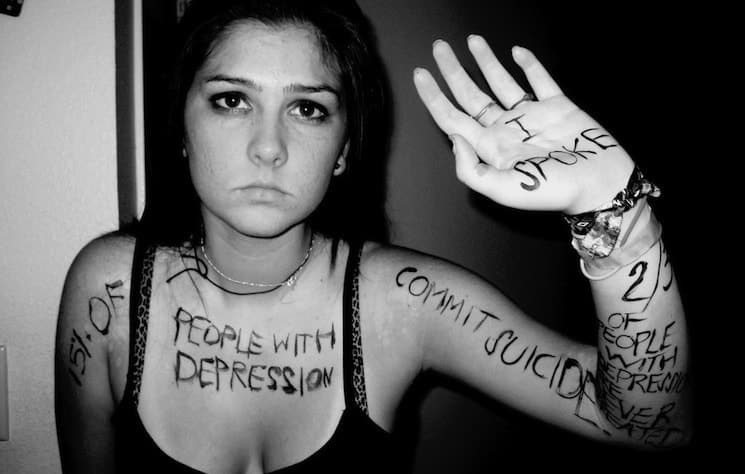 And mental illness affects young people too. Although it is sometimes hard to differentiate between actual symptoms of mental illness and teenage behaviour, the Mental Health Foundation estimates that around 20% of children have a mental health problem in any given year, and one in ten children between one and fifteen have some form of illness. Predictably, puberty has an adverse effect on mental illness, with the number of disorders rising in teenage years. Despite available treatment options, the WHO estimates that, globally, nearly two-thirds of people fail to seek help for their known mental disorders from healthcare professionals. In addition to this, a report conducted by the organisation in 2001 found that “more than 40% of countries have no mental health policy… over 30% have no mental health programme… [and] 25% of countries have no mental health legislation” whatsoever. Though medication might seem like the obvious choice for those suffering from mental illness, it is not always necessary. Officially advised by the NHS for the combating of mental illness is a new ‘philosophy’ that goes by many names, but most publicly ‘Mindfulness’. Mindfulness is a way of making one more aware of their surroundings in the present moment, in order to organise thoughts and feelings and improve one’s mental wellbeing. The treatment of mental illness is always going to be difficult. But, at times, the first step can be damn near impossible. I know that there are those of you out there, reading this post right now who are suffering in silence. And the only piece of advice that really matters is this: go and talk to someone. Anyone. It really doesn’t matter to begin with who it is. Speaking to a doctor in confidence might be the easiest first thing for some but I know others for whom it would be analogous to climbing Mount Everest. Open up to a friend you can really trust, a sibling you know won’t judge you, a teacher or your mum or dad. If you are suffering, please, do not suffer in silence. We all need a bit of extra help sometimes, and it doesn’t make you any weaker for asking for it. If the statistics above don’t tell you anything else, they do tell you that you are very much not on your own in this. And despite the gloomy statistics from the WHO a lack of provisions for those suffering, things are moving on and people are becoming more enlightened all the time. But enlightenment cannot come without those suffering seeking help.